The wrecker tow truck (also called wrecker, tow truck, breakdown truck, recovery truck or a breakdown lorry) is a vehicle used to transport motor vehicles to another location (generally a repair garage), or to recover vehicles which are no longer on a drivable surface. Towing services are generally provided by an emergency road service operator. Vehicles are often towed in the case of breakdowns or collisions, or may be impounded for legal reasons. 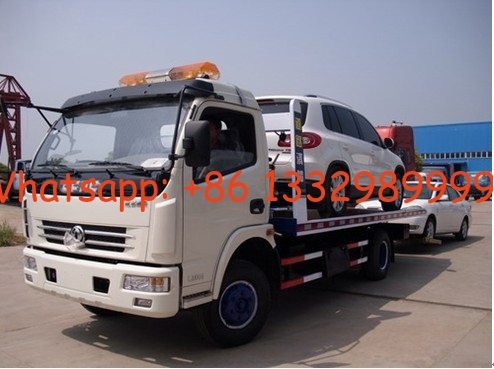 The wrecker towing truck with crane is flatbed wrecker tow tuck mounted with crane. It is a real multifunctional wrecker truck. It can be both used to transport the broken car which can move by flatbed and lift the broken car whose engine can't start by crane. The crane can rotate 360 degree and the lifting weight is from 3 ton to 8 ton. 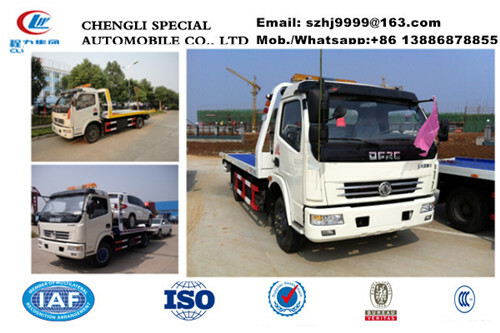 main technical parameters of Dongfeng 4tons wrecker tow truck manufactured by Chengli Special Automobile Co., Ltd. as below. Engine type 4 stroke water-cooled,water-cooling. 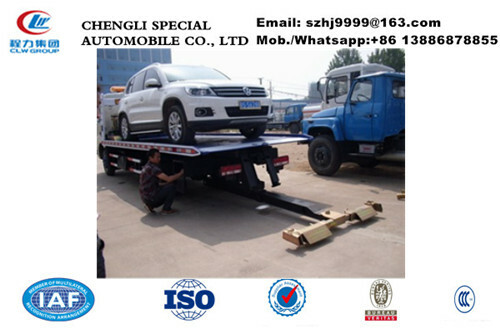 More pictures of Customized dongfeng 5.6m length flatbed wrekcer tow truck manufactured by Chengli Special Automobile Co., Ltd.